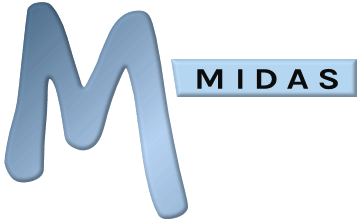 Each MIDAS Room Booking & Resource Scheduling System is licensed for a maximum number of users, venues (rooms/bookable spaces), and databases. For example, an "Up to 5 users / Up to 10 venues" license would permit a maximum of 5 individual user accounts, and the ability to manage a maximum of up to 10 bookable spaces. "Unlimited" user/venue licenses are also available, which have no limits on the number of user accounts and/or bookable venues as appropriate. The number of users/venues a system is licensed for is chosen at time of purchase, and may be subsequently upgraded (along with the maximum number of databases) at any time via https://mid.as/upgrade if you wish to add more users/venues than your current license allows. After purchasing a license upgrade, we'll supply you with a new license file along with instructions of how to apply the updated license to enable your additional users/venues/databases. Should you ever wish to "downgrade" your license, you can simply replace your current license file with an earlier version of your license. However, please note, doing so will then prevent access to those user accounts/venues/databases which then exceed the maximum allowed limits on the license you've reverted to. For this reason, we do not recommend "downgrading" a license. Also, in accordance with our Refund Policy, you will also not be entitled to a refund on your license upgrade cost, should you subsequently downgrade your MIDAS license/revert back to an earlier license. After purchasing a license upgrade, we'll then apply you new license to your hosted MIDAS system. License "downgrades" for cloud-hosted customers are not offered, and in accordance with our Refund Policy, refunds on license upgrades are not refundable if you wish to downgrade the number of users/venues/databases your system is licensed for. Will I need to upgrade to additional users/venues if I upgrade to additional databases? Can I revert my MIDAS system to an earlier version?